The Green Point CID has proudly welcomed another new member to its team. She is hardworking, intelligent, goes above and beyond in the call of duty and can sniff out a criminal a mile away. Literally! That last point is due to the fact that this officer is of the K9 variety – that’s right, she is a patrol dog. Man’s best friend is not only the most playful of household pets, it is also the hardest working and will fight tooth and nail to protect what it is loyal to. This makes pooches a great asset to law enforcement. Paris, a German Shepherd, just joined the GPCID family and has taken well to her new role. Thankfully the officers involved were already rather relaxed with the procedure as they had acquired a slightly fluffier Swiss Shepherd named Foxy about four years ago. The success of this is what led to the introduction of yet another dog in the crime prevention department. The pups are used mostly on patrols as their heightened senses help officers to ascertain the origin of criminal activity much faster. There are also many other avenues that dogs are perfect for, such as deterring criminals. 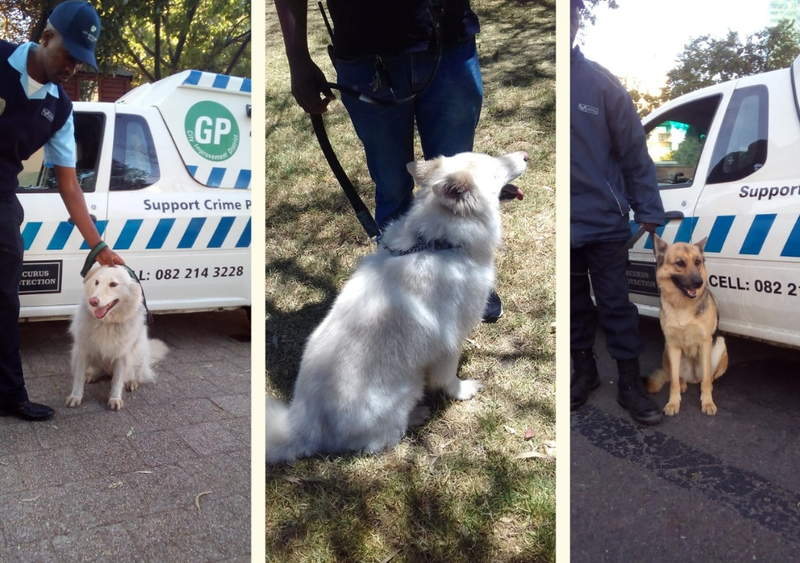 ‘Criminal activity decreases significantly in areas where the dogs patrol,’ says Matthew Jelling, the Operations Manager at Vetus Schola Protection Services, the company which supplies the dogs.